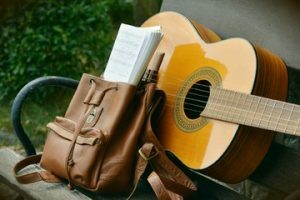 Have you ever considered becoming a guitar instructor? If you’ve been playing the guitar for a while, that could be a great way to earn some cash. Whether you need extra money to cover living expenses, or you want to completely dedicate yourself to this job, there are some things you should know. Like in every other job, there are some good and some bad things about it. The best thing about guitar teaching is that you can organize your time in the way you want. This is practically a freelance job, so you can decide when and how much you want to work. The worst thing about it is that the job is quite insecure, as it depends on how many students you can gather. The fact is that being successful in this job is much more about making a good strategy than having great knowledge of music. So, how to become a guitar instructor is your question now. You’re probably wondering if there are some courses or schools for this job. Actually, there are a lot of places where you can get some kind of official certification, but the fact is that you really don’t need anything of that to become a guitar teacher. Decent playing skills are everything you really need. 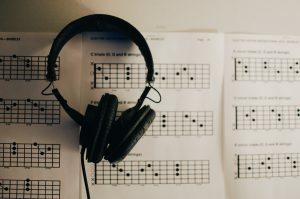 Am I Good Enough to become a Guitar Instructor? This is definitely the question that bothered everyone who ever considered giving guitar lessons. The fact is that you really don’t have to be a virtuoso. Most instructors are actually nothing but average or even below-average guitarists. You will mostly work with beginners, so decent skills are more than enough. A talent for passing on your knowledge is actually far more important in this job. Once you’ve realized that you have enough knowledge to give lessons, it is time to work on your teaching plan. The first thing that you should determine is the playing style. Stick to those styles of playing that you’re good in. For example, if you are a rock and blues player, don’t offer classical guitar lessons. It is always better to specialize in a particular area(s) and profile yourself as a great guitar teacher for a specific style rather than trying to spread yourself thin. Still, keep in mind that most of your students will be beginners, so you should be able to teach the basics of playing, no matter the style. Giving lessons at your place is definitely the most convenient way. However, the competition is pretty tough these days, so you must be ready for much more if you want to attract and then retain students for a long time. Offering mobile lessons could be a great thing, especially among young students, as many parents don’t have the time or simply don’t want to bother with driving kids to your place. Also, consider group lessons, as they can be beneficial in many ways. First of all, you will save a lot of time and make more money. Also, this could be highly encouraging for students to practice more, which means less chance of giving up. Finally, consider Skype lessons, which are getting more and more popular these days. It is probably the best way to expand your reach to more students, especially if you live in a smaller town. This may also be more convenient for both you and your student. Another great thing is that you really don’t need any special equipment. 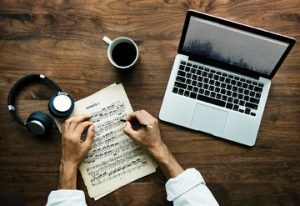 All you do need is a strong internet connection, a laptop with a good camera, and a decent microphone is pretty much everything needed for this form of guitar teaching. Students will take guitar lessons more or less seriously and it’s up to you to adapt. 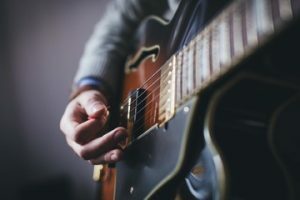 Some of them may be interested in learning theory and some specific techniques, but the fact is that most people want to learn to play guitar just for fun. So, don’t push them too hard if they don’t want to. That’s the easiest way to lose a student. Great teaching skills may be critical, but it is also important to build a good relationship with your students. Of course, no one expects from you to listen to a 30-minute confession, but a bit of chit-chat definitely won’t do any damage. Moreover, this could be highly beneficial, as the word of mouth is still one of the best ways to get new students. This is probably the toughest thing in guitar teaching, as things have become quite complicated these days. Just a few decades ago, you would have plenty of students that are full of enthusiasm, ready to practice all day long. Unfortunately, these are different times. Today, kids can be distracted by pretty much everything, due to the fact that they are permanently online. An everyday practice in a quiet room seems like a mission impossible with today’s young students, as they are bombarded with tons of information every day. The solution is to start speaking their language and a music practice app seems like a great solution. Finding the perfect app for you is the challenge that is now brought to the surface. But once you find that app, sharing practice recordings, adding new assignments, immediate dealing with roadblocks are just some of the benefits of such apps. Keep in mind all kinds of advertising. While traditional promotional materials like flyers and posters could be useful, but being online is far more important these days. One of the things you should do first is to create your own website, as well as accounts on social media like Facebook, Instagram, Twitter, and YouTube. There you can upload things like videos and other media that is instantly viewable to a huge number of potential students. Creating your logo seems like a must, especially if you are planning to be active on different networks. Besides easy recognition, you will also leave a much more professional impression on potential students. If your photoshop skills are limited, or you simply lack in talent, the great news is that there are thousands of talented young graphic designers that can make something great for a really affordable price. Also, consider taking actions like free initial lessons, discount prices for monthly lessons and similar things. 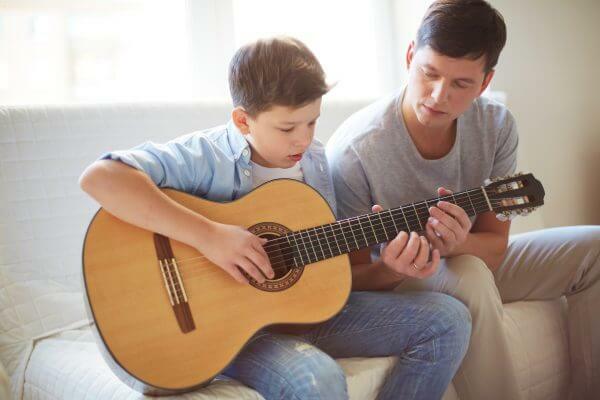 Do you have any question or additional advice and suggestions on how to become a guitar instructor? Send us an email or reach out to us via social media!